While the flames continued to ravage the pearl of medieval architecture, Dagens Nyheter made a ripple by drawing unexpected parallels with Hitler. For this, the daily newspaper was accused of having "Hitler Tourette's". Unlike other major newspapers, which joined the millions of people across the world in mourning the partial loss of the iconic 800-year-old cathedral, Dagens Nyheter chose a different approach to the blaze. The magazine reminded its readership that razing Notre Dame was exactly what Adolf Hitler wanted to do 75 years ago. "At that time, in August 1944, Nazi dictator Adolf Hitler had given orders to burn down the most important landmarks in Paris, including the Eiffel Tower and Notre Dame, in connection with the German army retreating and leaving the French capital before the Allies' advance ", Dagens Nyheter reporter Michael Winiarski wrote. The remarkable approach was met with harsh criticism on social media, where users came together to question, mock and deride the newspaper's reporting. "Notre Dame is burning. Most of us are sad. Dagens Nyheter: we do not know what happened, but in the 40s Hitler wanted to burn down the cathedral", Catharina Örtendahl Rylid of the liberal-conservative Moderate Party tweeted. NotreDame brinner. De flesta av oss är ledsna. — Catharina Örtendahl Rylid (@rtendahl) 15 апреля 2019 г. ​"Some Frenchmen wanted even to demolish Notre Dame as far back as the 19th century when it was still in poor condition. But after Victor Hugo's novel, people began to frequent the cathedral and it remained. DN is really a second-class publication", another user tweeted. "A proper DN article usually mentions at least one of these: Trump, the 30s, the Sweden Democrats and/or right-wing populism. No matter how far-fetched it is," another user tweeted in mock praise of Dagens Nyheter's consistency. Others ventured that this article was meant to insinuate that the fire was in fact an act of arson. "Has DN accused Putin or Trump yet?" a user chuckled. "DN summarised: everything that happens in reality can be boiled down to Russia, the Sweden Democrats, Hitler or Donald Trump," another chimed in. Trump earned in fact an honourable mention by Dagens Nyheter for his suggestion to water-bomb the cathedral, which didn't escape its readership. 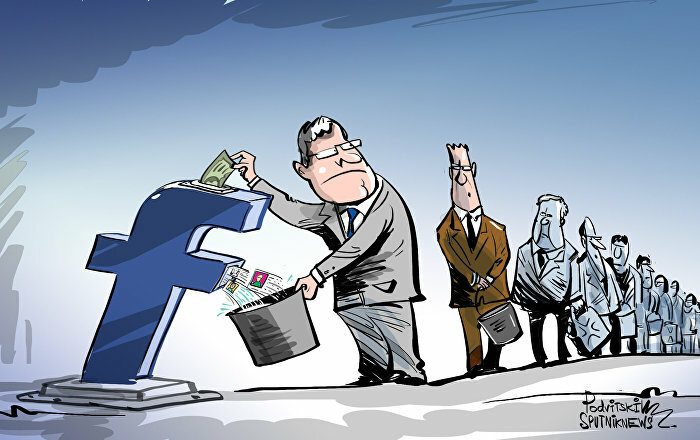 "Already Hitler wanted to withdraw Dagens Nyheter's publishing license," another user scoffed. — Patrik Wilke (@Zeilon) 15 апреля 2019 г. ​The 850-year-old cathedral was badly damaged in a blaze, which erupted on Monday evening. 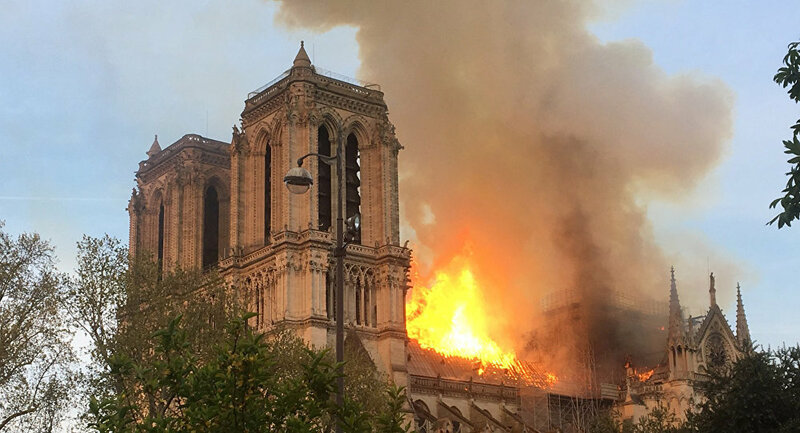 Its famous spire collapsed, and its iconic bell-tower has gone up in flames. Dagens Nyheter is a major Swedish daily aspiring to full domestic and international coverage. It bills itself as "independently liberal" and is owned by the Bonnier family, which altogether runs over a hundred media companies in a dozen countries.